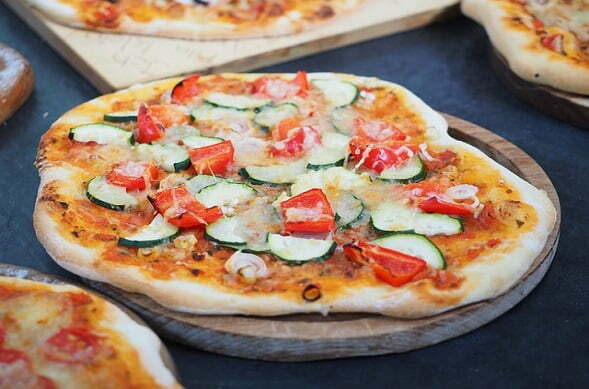 The Catering| How to book a Woodfired Pizza Catering At You Event. 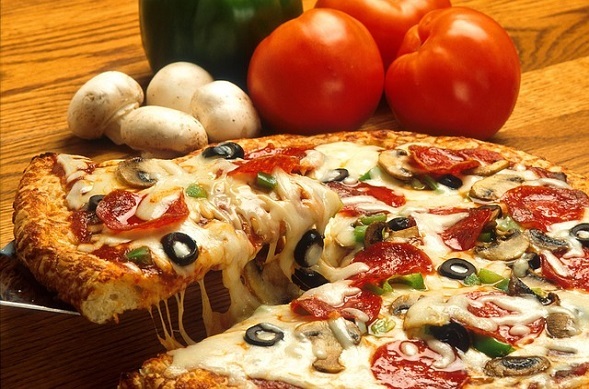 Here is an overview of our pizza party catering process. We begin with a pre-planning stage. You call us, ask questions or arrange a booking. We’ll answer you or get back to you as quick as possible. We’ll answer all your questions, give you a rundown of our service and what’s available. We’ll also have someone available to guide you through the pizza party booking procedures. Before the function itself, we’ll call to confirm the details. We’ll do this a week before. Our team will ask for more information such as the number of guests you expect to attend when the event starts, and any allergies or religious restrictions. On the day itself, we arrive an hour to an hour and a half ahead of time. This gives us time to set things up and get the oven heated up. 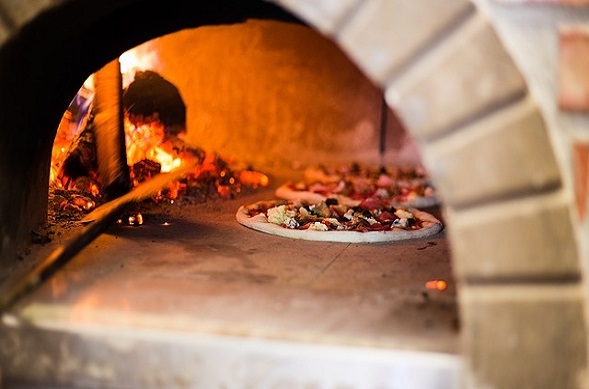 This way, we can get pizzas hot and fresh as soon as your guests arrive. We kick off pizza party service as guests arrive. Our cooks prepare a selection of meat and vegetarian dishes, going off garlic and cheese base. This is just the appetiser. Once a round of these is served, we begin preparing other dishes. Pizza recipes go on a rotation, along with our other offerings like antipasto or Italian doughnuts. Meat, chicken, seafood, and vegetarian variations are available. We’ll serve according to the package you request. This includes the all-you-can-eat package, where we’ll keep serving as long as the guests keep asking. One of our team will approach you when the platters start coming back or when the guests stop asking for more. Most of our packages also come with a free dessert. This will be served alongside any desserts you choose to bring, like cakes or other sweets. Finally, we leave behind a tray of pizzas before we pack up at the end of the event. The final tray is perfect for pizza party guests that get a case of the munchies before going home.